South African Mirages and Cuban MiG-21s dogfighting over Cuito Cuanavale, the largest tank battle on African soil since El Alamein; Puma troopships shot out of the skies by Strela missiles and RPG-7 rockets; Alouette III gunships hovering menacingly above Koevoet tracker-combat teams as they close in for the kill; Hercules and Transall transports disgorging their loads of Parabats over Cassinga; suicidal helicopter hot extractions of Recce operators deep in enemy territory; and a lone Alouette pilot who disobeyed orders and under intense ground fire evacuated a critically wounded soldier … such is the story of the South African Air Force, the SAAF, over the 23-year period 1966-1989, the period of conflict that became known as the 'Border War'. 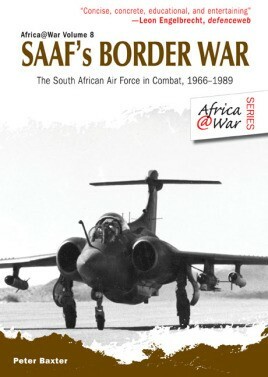 Set against the backdrop of the Cold War, the SAAF was effectively South Africa's first line of defense against Soviet expansionism in southern Africa. That the Soviets, through their surrogates-the Cuban military, Angola's FAPLA and Namibia's SWAPO-sought a communist regime in South Africa is indisputable, as too was the SAAF's skill, quality, determination and capability to defeat the best Soviet air defenses of the time. This account covers all the major operations that the SAAF was involved in, from Operation Blouwildebees, the opening salvo of the conflict at Omgulumbashe, South West Africa in 1966 to the final curtain, Operation Merlyn, the so-called April Fool's Day 'war' of 1989 when the SAAF and Koevoet, almost alone, frustrated SWAPO's last throw of the dice with its illegal invasion of South West Africa. In this account, highlighting such operations as Reindeer, Bootlace/Uric, Sceptic, Protea, Daisy, Askari, Moduler, Hooper and Packer, among many, as well as the ongoing methodological operations like Lunar, Maanskyn, Donkermaan and Butterfly, Baxter examines and brings to life the squadrons and aviators that fought in both counterinsurgency and conventional warfare roles. Besides an extensive selection of rare photographs, the book features a comprehensive section on camouflage and markings and 6 pages of color aircraft profiles and insignia by noted SAAF authority William Marshall, making this title especially useful for modelers. Peter Baxter is an author, amateur historian and African field, mountain and heritage travel guide. Born in Kenya and educated in Zimbabwe, he has lived and travelled over much of southern and central Africa. He has guided in all the major mountain ranges south of the equator, helping develop the concept of sustainable travel, and the touring of battlefield and heritage sites in East Africa. Peter lives in Oregon, USA, working on the marketing of African heritage travel as well as a variety of book projects. His interests include British Imperial history in Africa and the East Africa campaign of the First World War in particular. His first book was Rhodesia: Last Outpost of the British Empire; he has written several books in the Africa@War series, including France in Centrafrique, Selous Scouts, Mau Mau and SAAF's Border War. Peter Baxter is an author, amateur historian and heritage travel guide. Born in Kenya and educated in Zimbabwe, he has lived and travelled over much of southern and central Africa. Peter lives in Oregon, USA. His interests include British Imperial history in Africa and the East Africa campaign of the First World War in particular. He is the author of Pen and Sword's Gandhi, Smuts and Race in the British Empire. 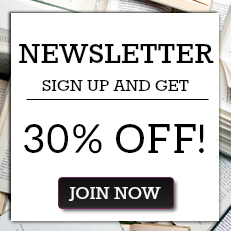 "Each of the books in this series is a well-documented and researched synopsis of the events that they are focused upon. They layouts and presentation are logical and of a very high quality ... As an introduction to this field of operation, this series is outstanding. A definite asset for those wishing to improve their knowledge and understanding of the development of successful, multi-faceted doctrine in the fight against insurgent/assymetric war." "This title will appeal to historians and modellers alike, particularly as there has been little written about these operations, and indeed about the activities of the SAAF in general, in the past."